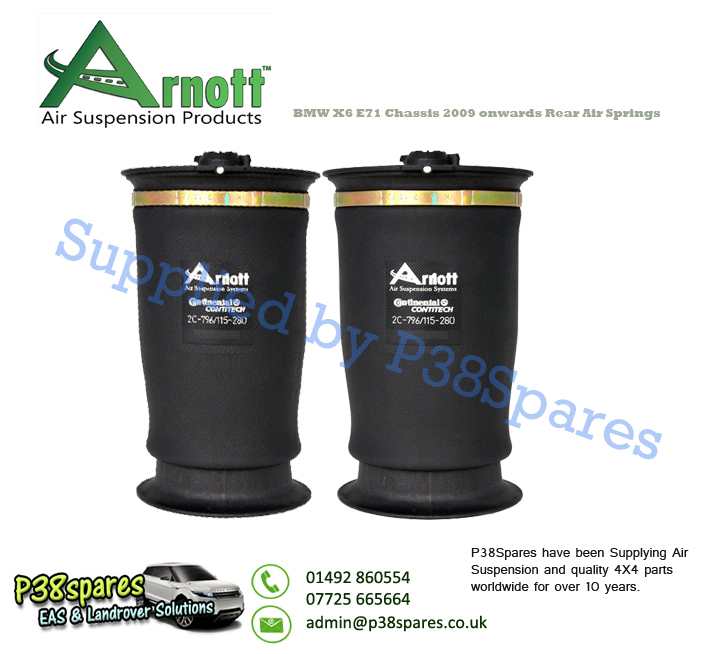 As the UK Distributor for Arnott Inc, we are pleased to introduce their new air spring for the rear of the 2007 onwards BMW X6. Their new rear air spring features a Continental bladder. Now you can replace your rear air spring, without spending a fortune at your local dealer! This is for x2 rear air springs to fit the left and right hand side of your vehicle.